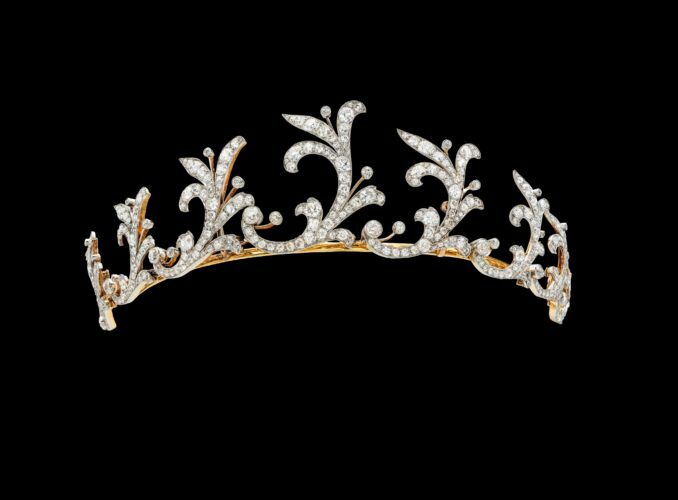 This wonderful tiara was acquired by Lewis, 1st Viscount Harcourt, for his wife in 1900 and is made in 18ct yellow gold and platinum and is entirely pave set with fine white diamonds. 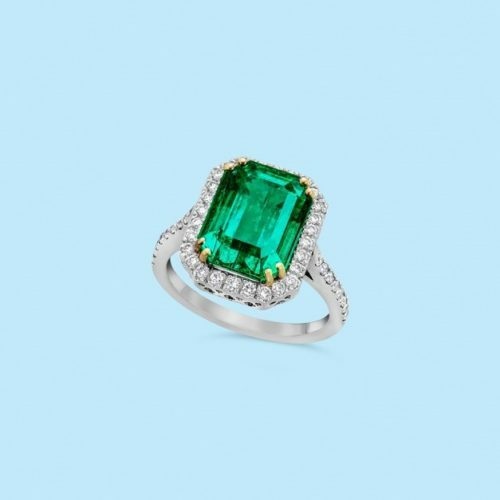 A superb emerald ring mounted in platinum. 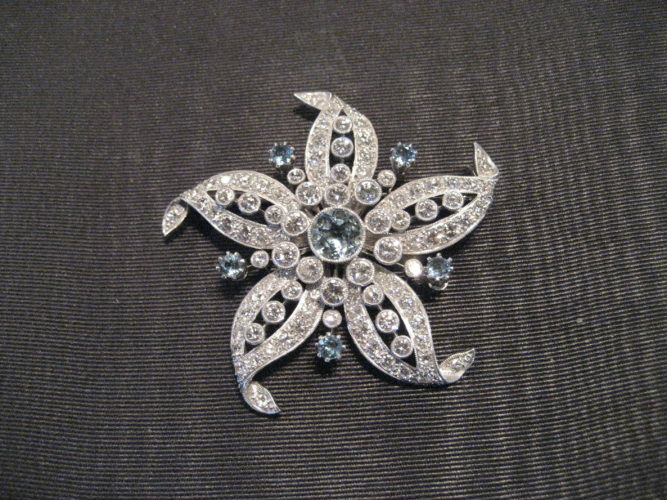 Fine jewellery from the start of the 20th century to the present day.